get relegated to the trash folder unopened without the subscriber ever seeing your message. Your subject line needs to tell the subscriber exactly why they should open the email. Get to the point, briefly! Why are you sending an email? The subject line should be a teaser of what’s in the email message. The subject line is the primary reason someone will either open or delete your email. Be descriptive. Be clear. Be relevant! • Use Buzzwords: Exciting, Wonderful, Upgrade, Now, Go, Happy. • Keep it Simple. Subject lines should be 45 characters or less. Definitely not more than 60 characters. • Ask Questions. Spark the subscriber’s interest and get them engaged with your offer. • Words written in all CAPS. • SPAM Trigger Words: Free, Cheap, Save, Guarantee, Affordable, Congrats, and Deals. • Emoji’s & Emoticons: Many email clients do not support special characters and special characters may not render. 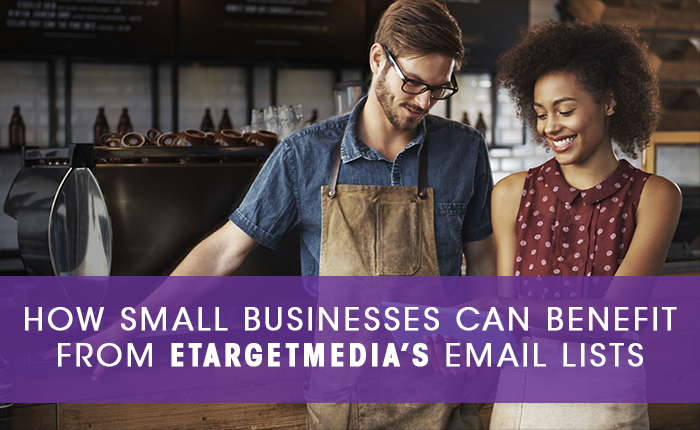 eTargetMedia offers targeted email and postal lists to major corporations including Fortune 500 companies. This doesn’t mean that our services are just for big companies. In fact, small businesses are a major part of our client list. Our unique level of service and offerings can help any small business to market more efficiently and get the most return for their investment. Quality of Lists: One of the things that sets eTargetMedia apart from our competitors is that quality of our email lists. We only use permission-based email lists where recipients choose to “opt in” to receive advertising and marketing messages from businesses in areas of their interest. This means that a person who receives your email is more likely to have a positive response. Categorization: eTargetMedia’s mailing lists are heavy segmented. You can find specific sub-lists involving people’s interests, gender, geographic location, annual income and more. This means that you can apply a high level of targeting to your campaigns. When combined with the quality of our lists, this means that you have the best chance to get a high ROI for your campaigns – a must for any small business. Low Rates: The high quality of our targeted postal and email lists doesn’t mean that they are priced too high for small businesses. Our rates are highly competitive with other leading companies in the industry. Depending on the type of list that you want to rent or buy, we can help you find a targeted list of contacts that is well within your budget. Email Marketing is on the Rise! 2015 is a Record Breaking Year for Email. This year has been a record breaking year for email marketers with email marketing continuing to be the top performing direct marketing channel. 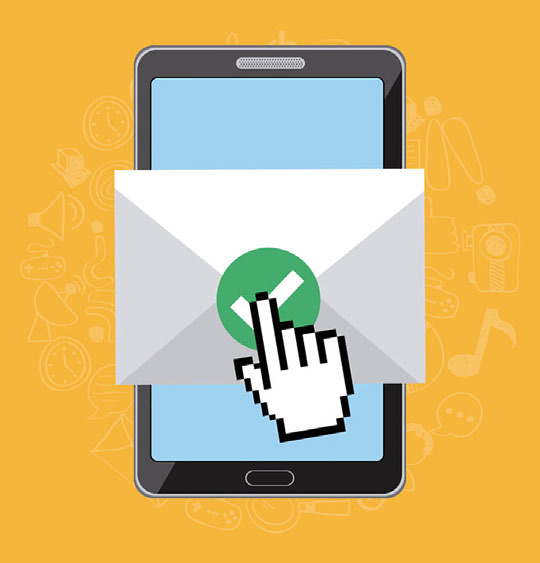 Smartphones and mobile devices have given email marketing a boost as people are now able to check their email anytime, anywhere from any device. According to a recent study, over a quarter of all online purchases that were generated from an email marketing message were placed on a mobile phone or tablet. As consumers continue to adopt the mobile lifestyle, email will continue to be one of the top activities performed on a mobile device. The increase in mobile purchases shows that it’s even more important to design mobile responsive emails, increase email customer engagement, and make your landing pages and shopping carts easy to navigate on a mobile device. • Email marketers saw the highest number of emails opened per consumer in the first half of 2015. • Email continues to influence consumers in making purchases. • Over 75% of consumers make at least two purchases a month based on an email campaign. • Mobile clicks made up almost 50% of all email clicks this year. • Email marketers are more successful at generating customer engagement than ever before. • Mobile email and desktop click through rates are both steadily increasing. • Mobile orders made up over 25% of email orders.